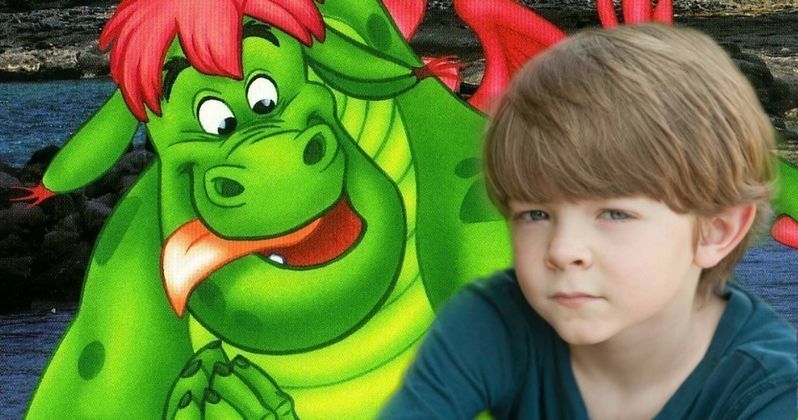 Disney has cast Oakes Fegley as the new Pete in their upcoming Pete's Dragon remake, along with newcomer Oona Laurence in an unspecified role. The original Pete's Dragon, which debuted in 1977, starred Sean Marshall as Pete, a young boy whose best friend Elliot just happens to be a massive dragon. The story follows Pete and Elliot as they run away to a new town, to escape Pete's abusive foster parents. No plot details were given for the remake, except that it will reinvent the core story and remove all of the musical elements. The remake will be a live action project with CGI elements being utilized to bring the dragon to life. David Lowery (Ain't Them Bodies Saints) is directing from a screenplay he is co-writing with Toby Halbrooks, with James Whitaker producing. No production schedule was released. Oakes Fegley stars in two different movies that both open today, Warner Bros.' This Is Where I Leave You and the indie Fort Bliss. Oona Laurence has starred in a handful of short films, and she makes her feature debut in the upcoming boxing drama Southpaw, starring Jake Gyllenhaal, Forest Whitaker and Rachel McAdams.